The Undertones had just finished recording their 2nd album, Hypnotised, then embarked on a tour of Ireland and Europe. 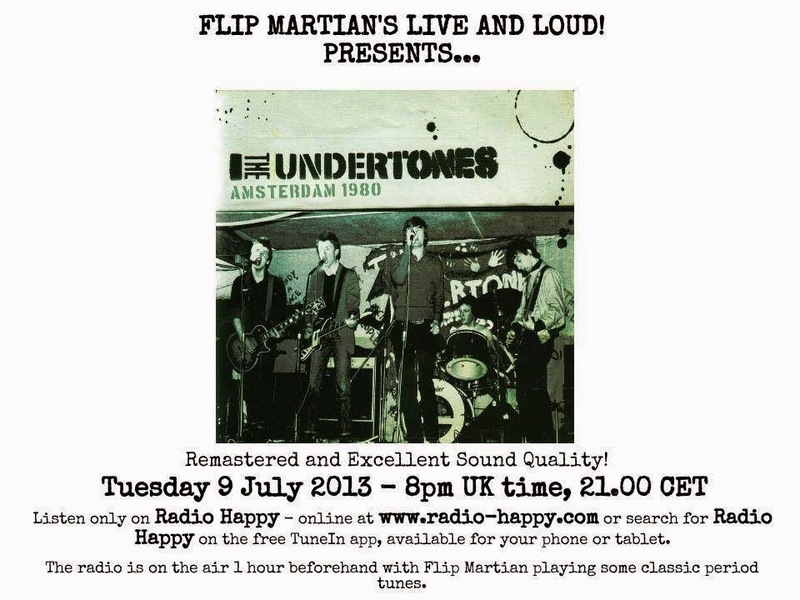 This particular gig is taken from a gig recorded for Dutch radio at the time. I'm guessing its not the complete show as its only about 36 minutes long but despite that, they crammed in 14 songs! Being an FM radio broadcast, the mix was ok but the copy I had wasn't the greatest and needed quite a bit of work to restore. That said, it sounds very listenable now - and certainly better than the original. I hope you enjoy it. More good stuff from the archives. Thanks again!